When clients contact us to assist them with starting a business, many clients (understandably) do not know what a limited liability company is and how it can be beneficial in the operation of their business. 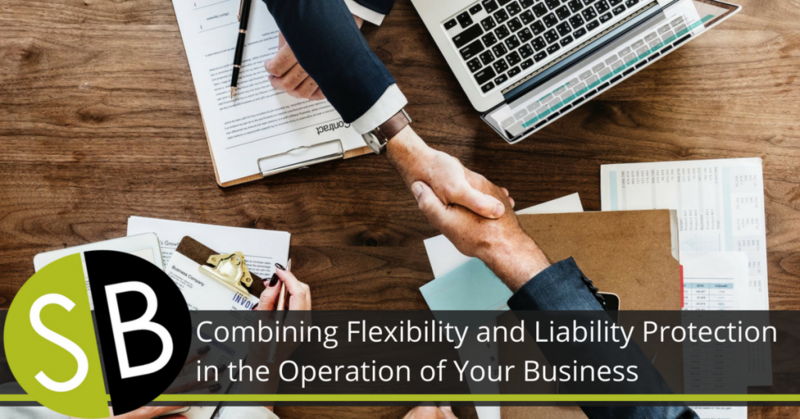 A limited liability company (LLC) is a business structure created under Chapter 183 of the Wisconsin Statutes offering business owners simplicity and liability protection. An LLC consists of one or more owners typically called “members”. LLCs are relatively simple to establish and operate, with minimal annual filing requirements in Wisconsin. Below are a few frequently asked questions regarding LLCs. What are the primary reasons for the popularity of LLCs? If your business is structured as a sole proprietorship or a partnership, you and your business are legally one in the same. This means you can be held personally liable for your company’s debts and obligations. You may also be personally liable for the actions of business partners and/or employees. An LLC limits personal liability (much like a corporation) and is legally distinct from its members, provided certain rules of operation are followed. In most cases, so long as required LLC formalities are followed, personal assets cannot be used to collect on the LLC’s debts or obligations. Detailed annual meeting minutes, annual meetings, robust annual filings, etc. are not required in the operation of an LLC, though they can sometimes be required by agreement among the members. Management of the LLC can be flexibly arranged. The members can decide how the LLC will be governed. LLCs generally require fewer ongoing formalities than corporations. An LLC does not require its own federal tax classification, but can utilize the tax status of sole proprietorships, partnerships, or corporations. An accountant should be consulted when deciding tax classifications. In simplest terms, an Operating Agreement is a contract between the owners of a business stating how day-to-day and major decisions facing the business will be addressed by the members. There is no requirement that an LLC have a written Operating Agreement. If the LLC does proceed with an Operating Agreement, it must be in writing and signed by the members. If the members do not enter into an Operating Agreement, the Wisconsin Statutes govern the operations of the LLC. “Canned” or template Operating Agreements found online should not be used unless they are closely scrutinized by an experienced attorney to ensure that the document addresses matters as the members intend. A “one-size-fits-all” template Operating Agreement does not exist. Having a well-drafted operating agreement in place often prevents turmoil if disputes arise, as dispute resolution methods and techniques are clearly articulated in writing. This can prevent uncertainty and conflict and is simply smart business. What are some of the Operating Agreement provisions that should be discussed and agreed upon by the members in a well-drafted Operating Agreement? How will additional members be added? How will profits and losses be allocated among the members? How do members intend to value contributions of labor/equipment/land/services? Are profit distributions based on capital contributions, or on percentage membership interests? Will one manager make day-to-day decisions, or will the members have to unanimously agree on all decisions? Is majority consent of the members enough? Are all members entitled to vote, or are some “silent” partners? Can a member sell his or her ownership interest to a third party? Do other members get first opportunity to purchase the selling member’s interest? What happens if one member dies, becomes disabled or gets divorced? What about one member filing bankruptcy? How are transfers of the ownership interest valued? What are the payment terms for member “buyouts”? I am doing business as ABC Company, so I’m protected and don’t need an LLC. Unless you have filed for LLC protection with the State of Wisconsin and follow the required formalities, you are entirely and personally responsible for the operation of your business. Your personal and family assets may be exposed to collections from lawsuits. Don’t worry, I have insurance coverage. Your insurance coverage may not fully cover the amount of a judgment or claim against you. It can also be very expensive to obtain the type of coverage that you need. An LLC does not insulate members from all potential claims, but it may provide some protection that an insurance policy doesn’t. Business owners should have adequate insurance coverage in addition to liability protection through an organized business entity such as an LLC. Who cares – I have no assets! Even if you do not have any personal assets accumulated at the time a judgment is entered against you, you will be personally responsible for the judgment. Judgments will also stay on your record for several years. Later acquired assets could be exposed to collection. I personally guaranteed an LLC obligation, but the LLC still protects me right? Beware of signing personal guarantees on behalf of an LLC. It is common for lenders and many vendors to require personal guarantees, particularly when your business is just starting out. Personal guarantees generally trump the protections provided by an LLC. What kind of business formation and start-up services does Steimle Birschbach provide? Assist with selecting and creating various business entities including LLCs, corporations, or other entities to conduct your business. Drafting and filing Articles of Organization and Articles of Incorporation for your business. Drafting Operating Agreements, Buy-Sell Agreements, Bylaws, Shareholder Agreements, and other business management agreements. Guidance in submitting appropriate filings to the State of Wisconsin. Continued assistance with business law matters, including drafting and reviewing contracts, and general business law counsel. This blog post is provided for informational purposes only and by its very nature is general. This information is not intended as legal advice.